How much will my homeowners insurance go up every year? You are here: Insurance » Home Insurance » Home Insurance FAQ » How much will my home insurance go up every year? How much will my home insurance go up every year? Wondering about how much your home insurance will go up every year? Chances are there is not too much to worry about. Unlike car insurance, home insurance does not take huge leaps and bounds as often. If you are not making claims, changes to your home or major disasters don’t occur in your geographic area, you will find little change in your yearly premiums. However, it pays to be concerned about the rising cost of homeowners insurance coverage. Premiums that raise yearly can be a detriment to your budget. A guideline to go keep in mind is that if a home insurance increase means more than a couple of dollars more per month; it’s time to look more closely at your rate. It’s always a smart thing to do your research – use our free home insurance quote comparison tool and compare free insurance quotes today! Probably the most significant cause of home insurance increasing yearly is the endorsement called inflation guard. This add-on to your policy will help to ensure that the insured value of your home reflects reality: how much it would actually cost to replace it considering the impact of inflation. If you carry this endorsement, your home insurance will increase every year that inflation increases (which is practically every year). The amount it increases will reflect how much inflation fluctuates in the year leading up to renewal. Making changes to your policy will also cause your home insurance to go up. If you are constantly buying new things and adding riders to your home policy to cover them, your premiums will rise accordingly. Doing renovations, adding outbuildings such as sheds and adding certain high risk items to your yard such as pools and trampolines will also cause your home insurance to rise. Negative changes to your credit score will definitely cause your home insurance to increase. If your score is steadily worsening, expect your home insurance to get slightly more costly each year. However, if you take a big hit to your credit such as filing bankruptcy, your home insurance premium will likely jump significantly at renewal time. Small claims can add up to big premiums. 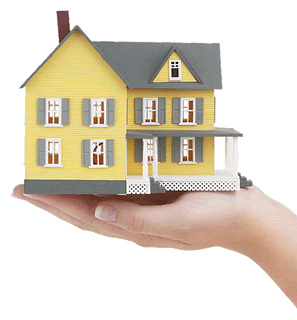 Home insurance is meant to protect you from financial disaster. If you consistently use it for little claims, you will find that your premium will increase consistently also. When the risk of filing claims increases, rates go up. If your home is in an area with increasing crime, you will find that your home insurance will increase. It may not be a steady increase every year, but you will find that over time the price will go up. Similarly, if the geographic area where you live has been struck repeatedly by natural disasters such as floods, hurricanes and tornadoes, your home insurance premiums will rise, as the insurer will determine that you are now in an area that is more likely to suffer a peril requiring a home insurance claim. If your home insurance goes up significantly or continues to increase year after year, you may want to look at making some changes. Reconsider endorsements like inflation guard. This will eliminate much of the premium increases. Examine any additional riders on your policy. Are there any that you can eliminate because you no longer have the items or the value has dropped? You may also want to increase your deductible in order to lower your premiums. However, doing so will only lower it for the present year. You may find that after the initial year, your premiums start increasing again. Working to improve your credit score may bring your premium down. However, it will be at least a couple of years before you see significant changes from this type of effort. Removing items such as trampolines and swimming pools will definitely lower the cost of home insurance. If you stop making small claims, your premiums will decrease, especially after you’ve gone 3 years claims-free. You may also want to talk with your existing insurer about any new discounts that you may be eligible for, as these things change with time. A $25 increase is normal and practically goes unnoticed. However, if you find that your home insurance has gone up hundreds of dollars, it is definitely time to shop around. In reality you should always shop around yearly at renewal time to make sure you still have the best rate for your home insurance needs. You can get a price quote quickly and easily by using our free online quote tool. You simply answer a few questions about your home, your insurance needs and yourself, and in no time you will have multiple insurance quotes from home insurers serving your state. Get started now shopping around with our free online home insurance quote tool!